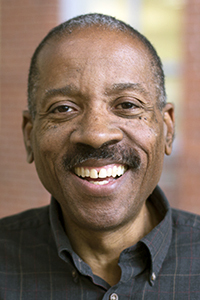 Ed Madison has a 27-year track record as an executive producer/director of network television, film, and commercial projects. His multifaceted career in media began at the age of 16 and has covered the gamut, from talent coordinating for a local Washington, D.C., talk show while still in high school to creating, producing, and directing programs and segments worldwide for network, syndicated, and cable television. At age 22, Madison became a founding producer for CNN, aiding in the groundbreaking quality programming that has come to represent that network. His own subsequent companies have provided services for most of the major networks and studios, including CBS, ABC, A&E, Paramount, Disney, and Discovery. He has contributed to the success of many top-rated series that helped to define the lifestyle/travel television genre, including Lifestyles of the Rich & Famous, A&E Top 10, and Entertainment Tonight. Madison’s current company, Engaging Media, Inc., creates, brands, and distributes high-caliber video programs and marketing messages for delivery via the Internet to mobile devices and PCs. For more information, visit Madison’s website or Vimeo channel. Madison, E. & DeJarnette, B. (2018) Reimagining journalism in a post-truth world: How late-night comedians, internet trolls, and savvy reporters are transforming news. Santa Barbara, CA: Praeger/ABC-CLIO. Madison, E. & Wojcicki, E. (in press) Creative Commons in journalism education. In Hobbs, R. (Ed.) Routledge Companion of Media Education, Copyright and Fair Use. Madison, E. (2014) Creating rapport. In P. Laufer (Ed.) Interviewing: The Oregon Method, Eugene, OR: University of Oregon. Madison, E. (2015) Mobile media best practices: Lessons from 5 years of OR Magazine. Journalism and Mass Communication Educator,70(3), pp. 324-330. Madison, E. (2014) Training digital age journalists: Blurring the distinction between students and professionals. Journalism and Mass Communication Educator, 69(3) pp. 314-324. Madison, E., & Steeves, L. (2014) Intercultural dialogue through immersive learning: Media internships in Ghana, West Africa. Media and Information and Intercultural Dialogue 2014 Yearbook. UNESCO/Temple University. Madison, E. (2014) Reversing declines in minority journalists: A community-based approach to journalism education. Journal of Applied Journalism and Media Studies, 3(3), pp. 429-442. Madison, E. (2014) The state of Jefferson and the rise of regional journalism. Humboldt Journal of Social Relations, No. 36, pp. 138-144. Madison’s research centers on how journalistic learning methods can enhance overall student achievement in K-12 education with specific emphasis on underserved youth. He is co-founder of the Journalistic Learning Initiative, which is a coalition of researchers, educators, and community members, working in partnership with UO’s School of Journalism and Communication and College of Education. Madison led the team that developed DigitalSkillsWorkshop.com, an online resource for secondary-level educators who want to introduce digital storytelling in their curriculums as a way to address the Common Core State Standards relating to media and technology. The project chronicles his research team’s work at Roosevelt High School in Portland, Oregon, often listed among the state’s most challenged schools.